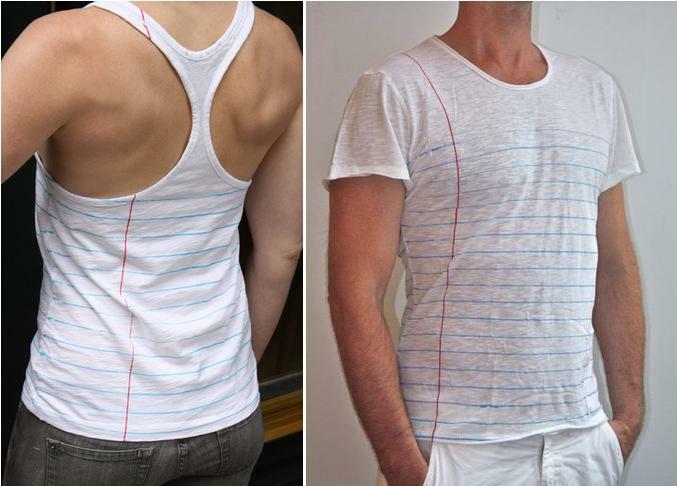 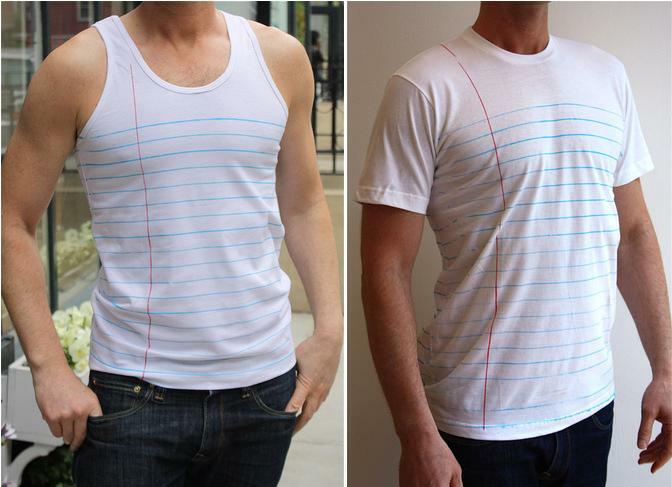 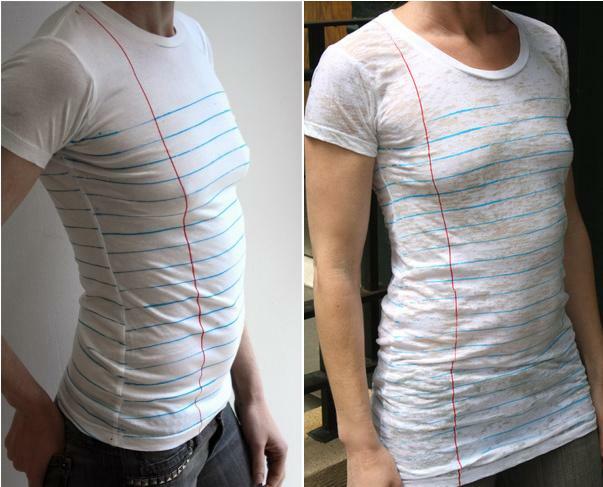 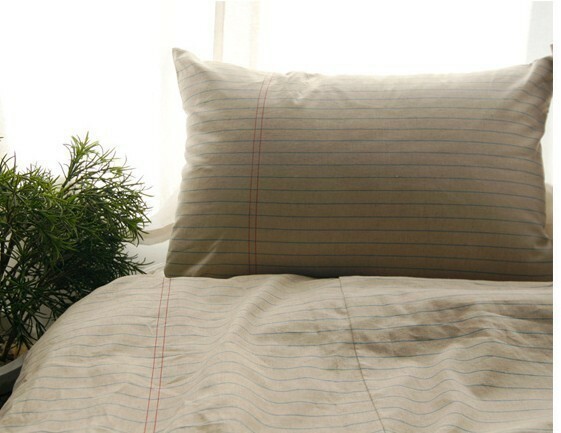 Notebook Paper Bed Clothing: This set features a blue with red double lines on a dark beige background, creating a notebook sheet effect. 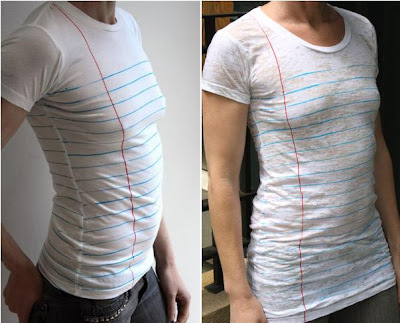 E for Effort Loose Leaf Apparel: These screen-printed t-shirts and totes come from Artware Editions' E For Effort Loose Leaf Apparel, a collaboration between Brooklyn artists Beka Goedde and R Ostrow. 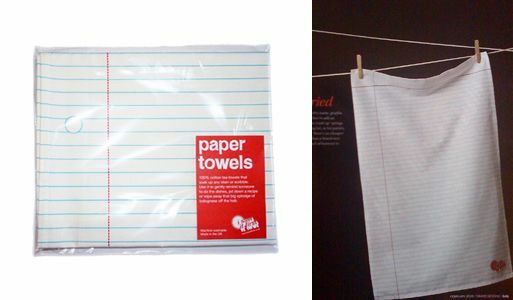 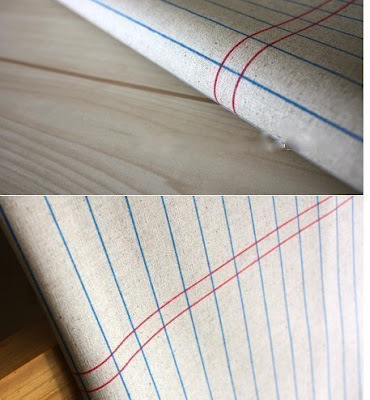 Notebook Paper Tea Towel: A tea towel that looks like a sheet of paper, but this one is flexible and is made of washable cotton. 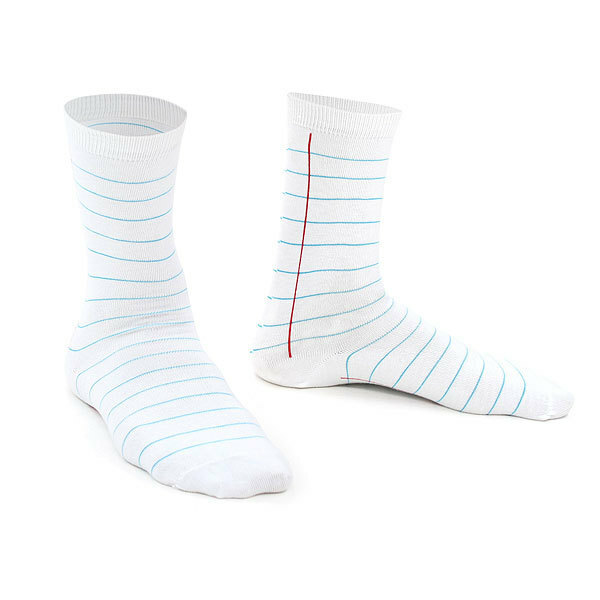 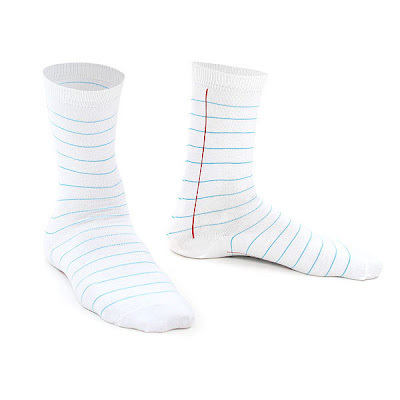 Notebook Paper Socks: Whether you're a wide-ruled or college-ruled kind of person, you'll surely like these paper inspired socks. 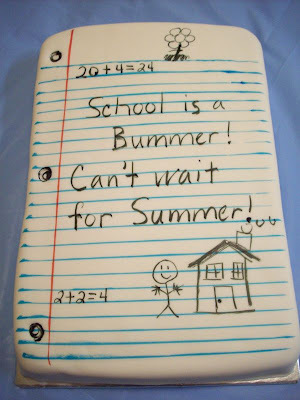 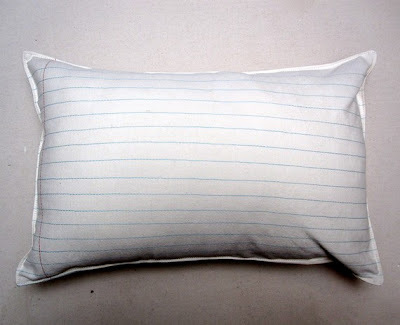 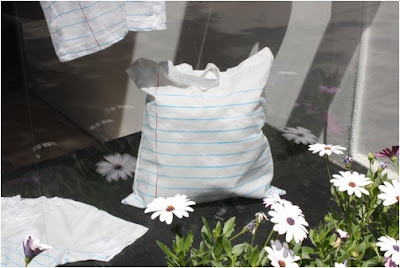 Notebook Paper Pillow: This pillow measures 12 x 18", embroidered with the lines of notebook paper. 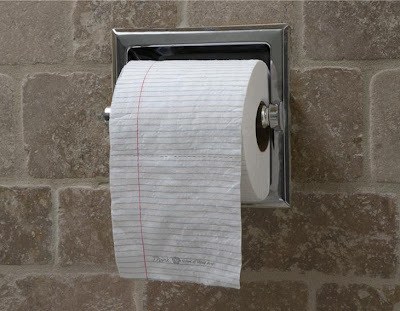 Notebook Paper Toilet Roll: This comes from advertising for the School of Visual Arts that encourages people to 'think' while also giving them a place to write down their thoughts.